The launch of a new gas safety awareness campaign hopes to highlight the potential dangers of carbon monoxide poisoning. As the UK’s voice for gas safety, the Gas Safe Charity has launched a new scheme which not only aims to raise awareness but also hopes to educate people in terms of what can be done to prevent CO poisoning. With carbon monoxide poisoning attributing to 50 accidental deaths annually – not to mention around 200 non-fatal poisonings and somewhere in the region of 4,000 visits to A&E – as well as providing gas safety information, the scheme will also be handing out free carbon monoxide detectors to 10,000 families. Prevention is always better than a cure, and aside from fitting audible carbon monoxide alarms, there are various other preventative measures that householders can implement to stay safe. Things you need to know should include being aware of the symptoms to look out for; making sure your fuel-burning appliances, such as your boiler, are serviced regularly; maintaining good ventilation in rooms and ensuring flues and chimneys are regularly swept. The ‘Be Gas Safe’ programme is calling on local organisations to get involved to help deliver the awareness campaign across the UK. Organisations interested in taking part have until 6 January 2012 to submit their interest. 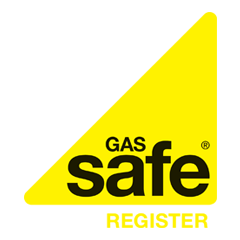 Established in 2009 by the Gas Safe Register and the Health and Safety Executive, the Gas Safe Charity has teamed up with the Royal Society for the Prevention of Accidents to deliver the program. “Gas Safe Charity is delighted to be working on this new carbon monoxide programme with the Royal Society for the Prevention of Accidents,” said the charity’s chairman, Les Philpott. “Awareness of the dangers of carbon monoxide has been improving in recent years, but the number of CO poisoning cases still being recorded shows there is no room for complacency,” he added.